This side table is not like other side tables. It has a unique and brilliant design that is intriguing and spectacular. 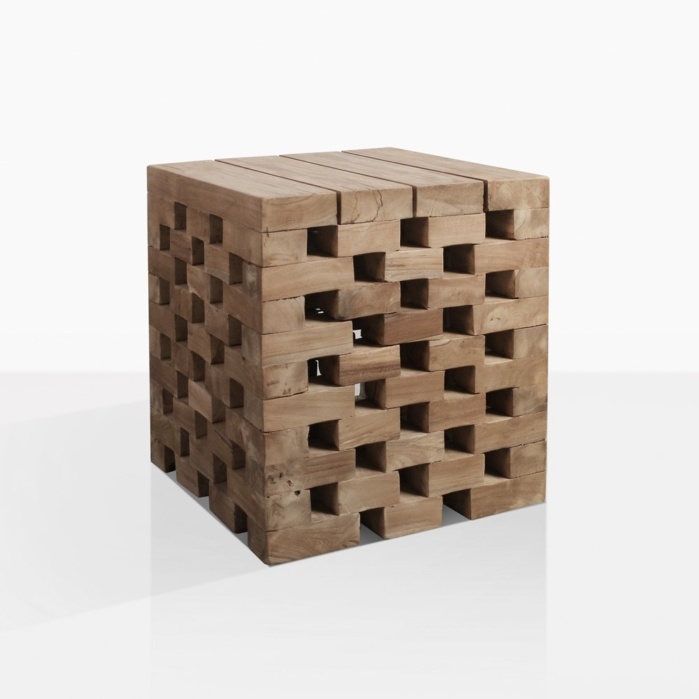 Thick blocks of reclaimed teak wood are stacked and fit together like a puzzle. Four slabs of solid teak make up the tabletop. Each piece has wonderful and raw natural texture and over time will age and turn a lovely shade of gray. These thick pieces of teak make this table feel solid and heavy, yet it is not one solid block, this allows light and shadows to add the eclectic vibe. We love pairing multiple Crossword Side Tables together in a line or scatter them for more tabletop space. Please note that each Crossword Table will be different and unique, and will vary slightly in color and size. L15.7" x W16" x H18.6"